When your pencils become too short to hold comfortably, simply insert them into these handy tools and you can carry on using them - making sure you get the very most from your pencils and your money! This set includes two different sizes of extender - one fits standard 7mm pencils, such as Derwent Watercolour and Graphic Pencils, while the other fits more chunky 8mm pencils, such as Derwent Pastel Pencils and Coloursoft Pencils. 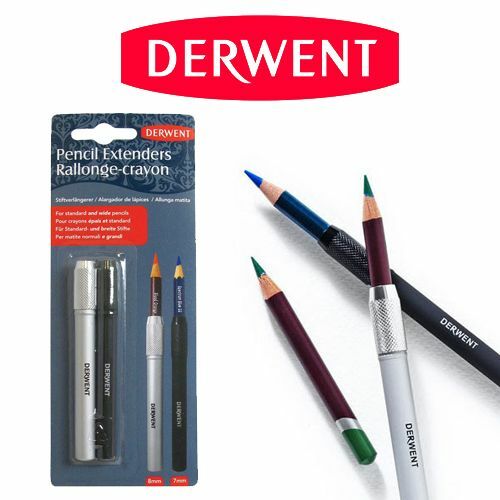 Get more from your pencils with Derwent Pencil Extenders!